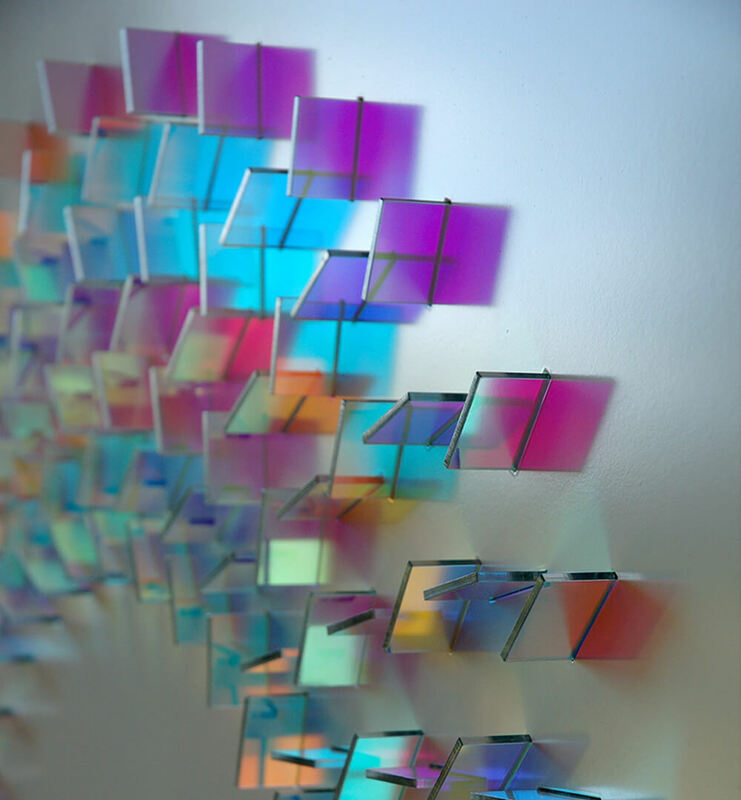 Chris Wood from Cambridgeshire is a talented artist that by her last name you would figure she creates amazing art glass installations with what? 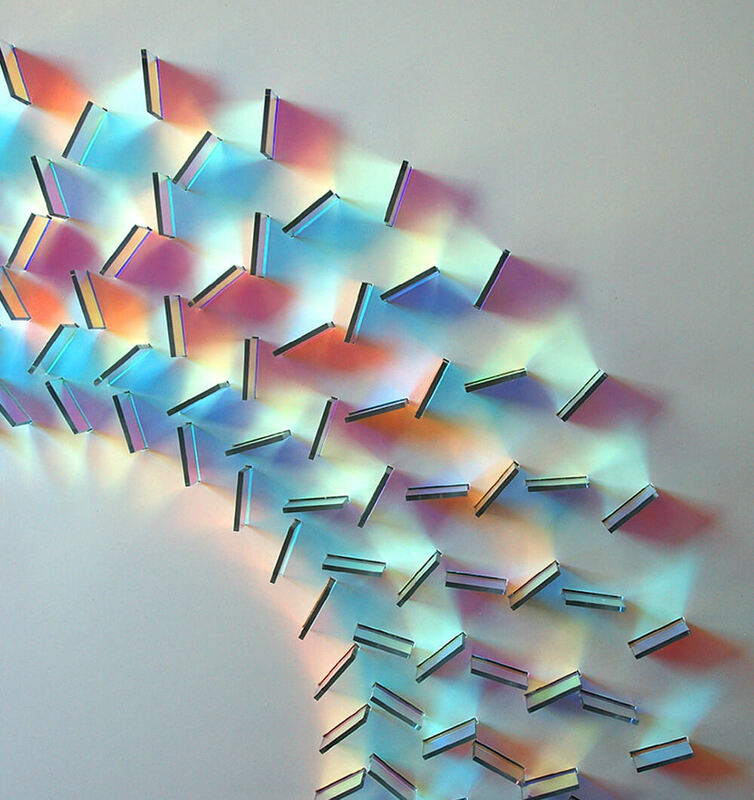 Wood obviously right? 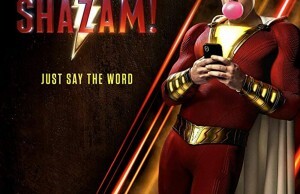 Well, you are wrong. 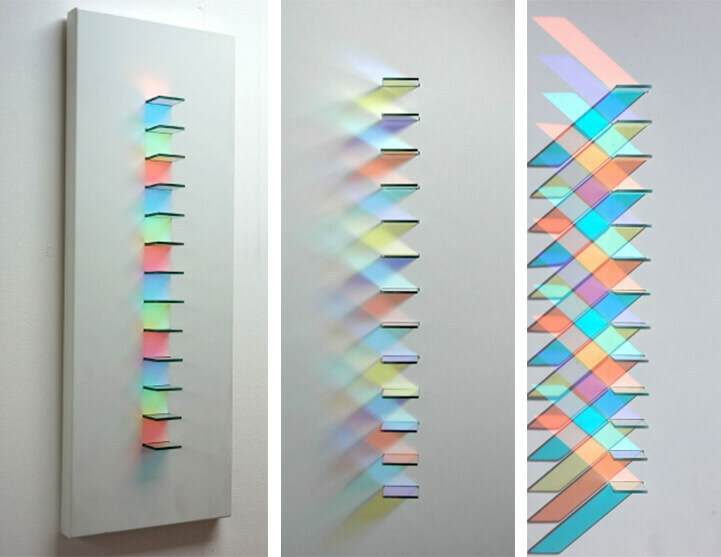 Wood likes to create delicate pieces of glass and making them into small squares and positioning them just in the right place to capture light and use reflections to complete each piece and show us the bigger picture. 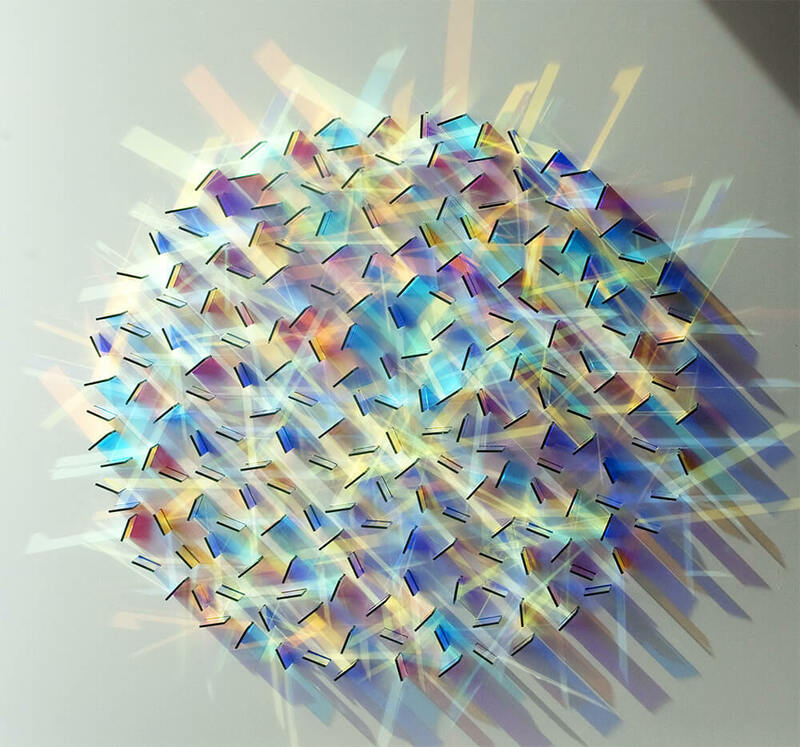 Wood places and manipulates optical projections towards each glass installation and controls how the light hits each piece, giving you what you see below in the pictures. 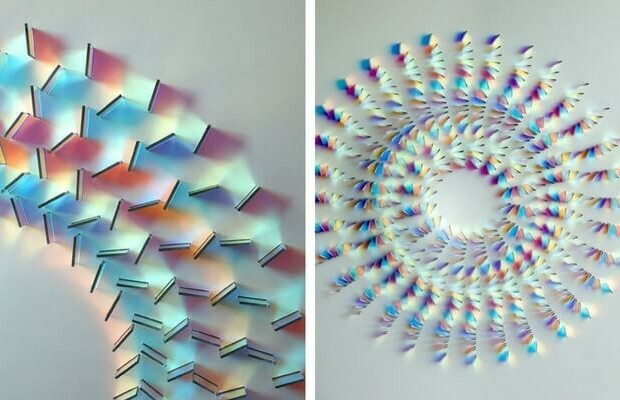 The results are beautiful, geometrical shapes and glass structures that are transformed into sparkling patterns that look like paintings or even photoshopped. 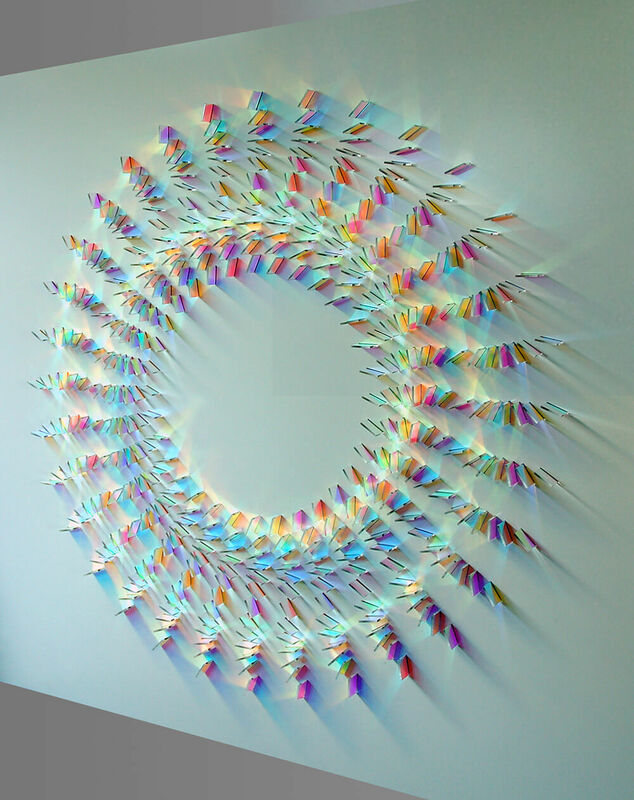 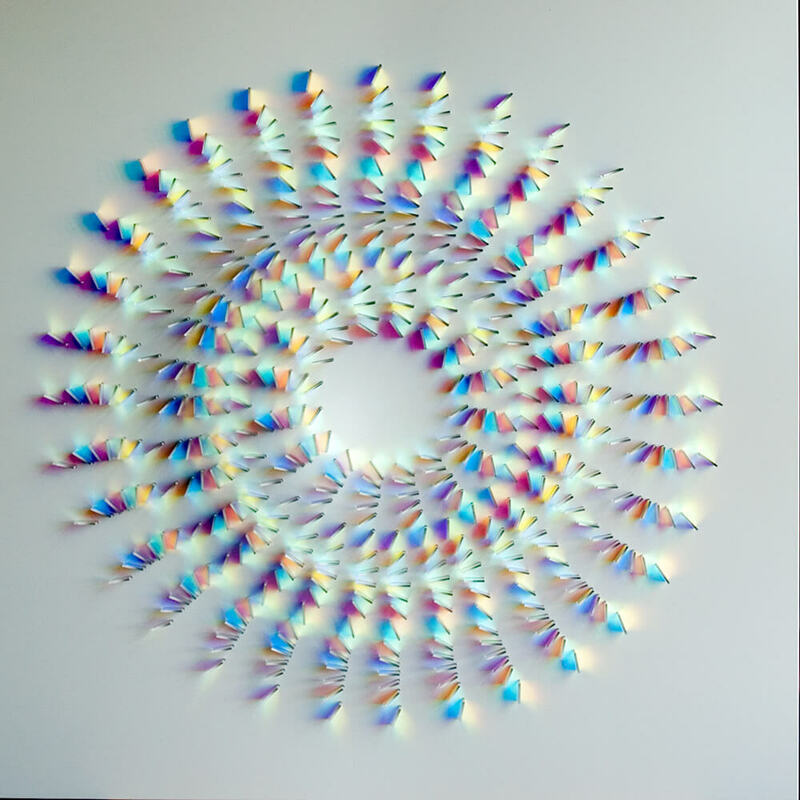 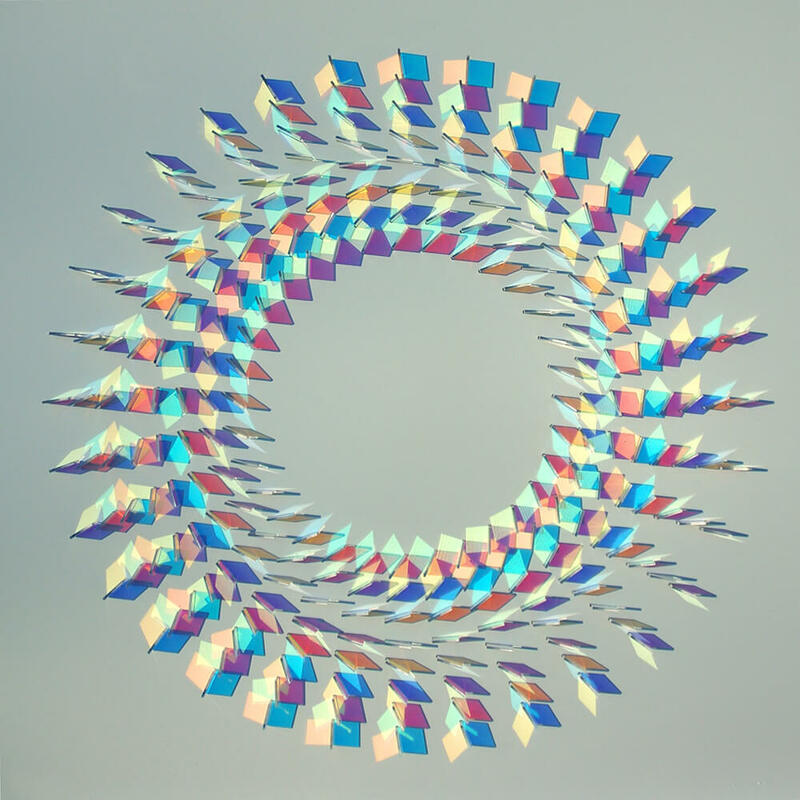 Chris Wood’s work using the glass medium combined with light, she likes to use both high and low-tech optical materials to create her glass installations. 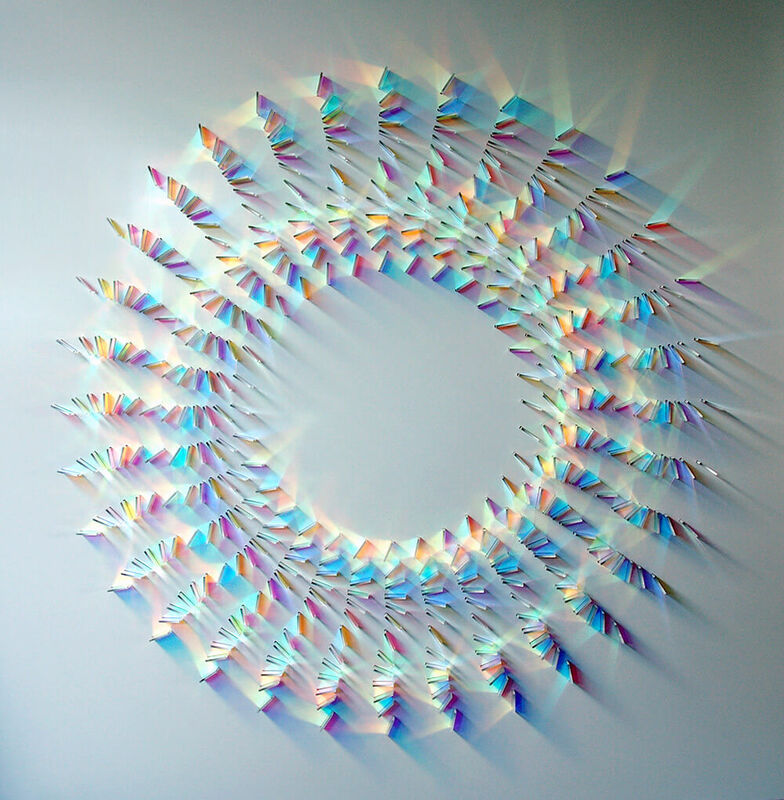 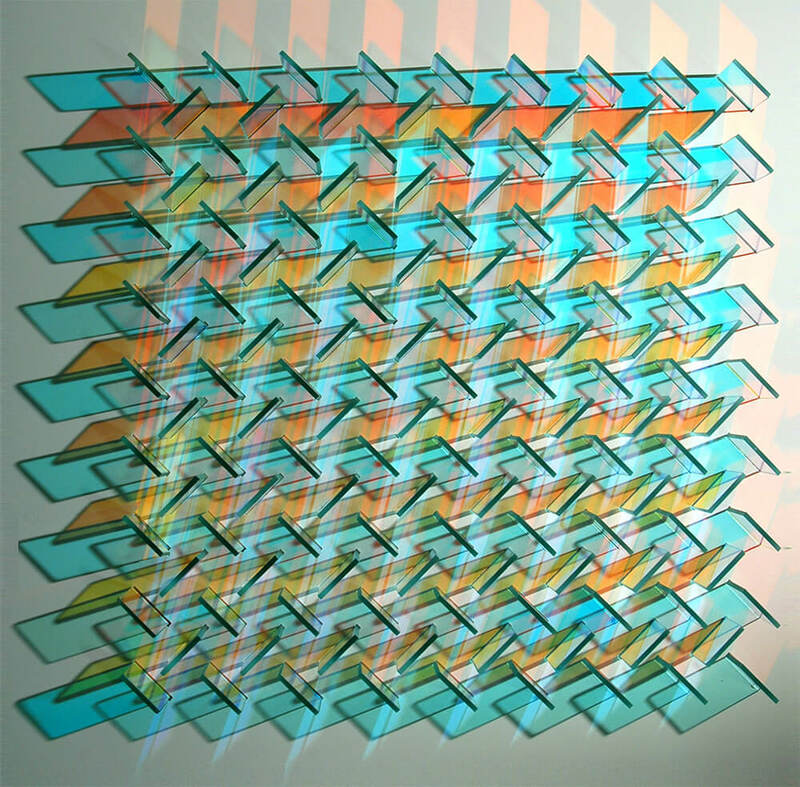 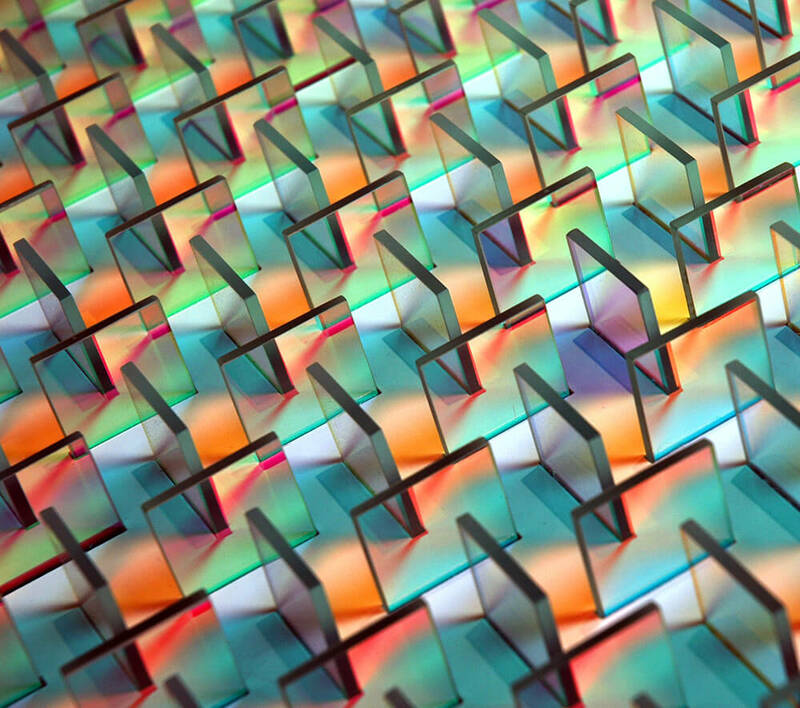 The unique part about dichroic is that it’s a colorless material that filters and reflects light in a variety of rainbow colors and projections. 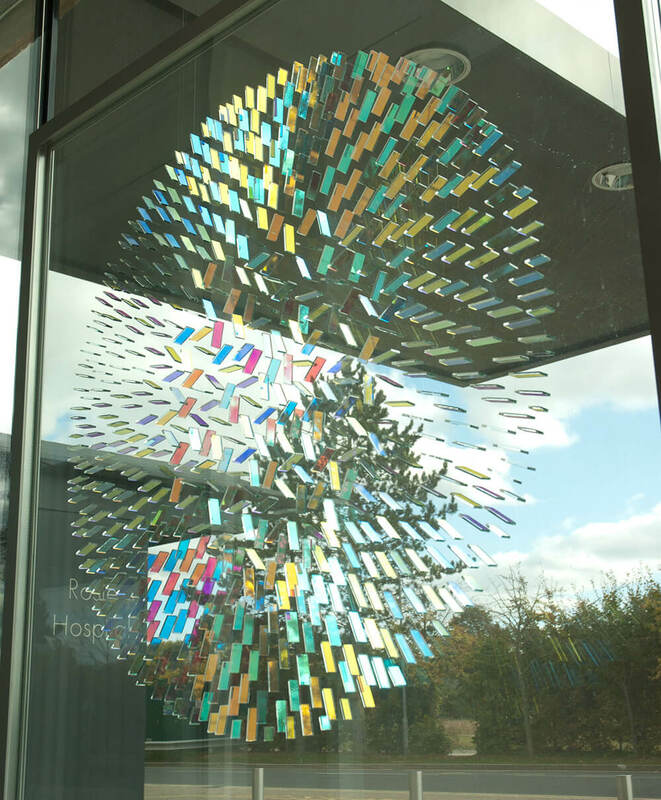 Wood also do commissioned work and has created large scale works for hospitals, schools and hotels.